When you were a kid did your mom ever fix you Hamburger Helper Beef Stroganoff. I thought it was so good, but had no idea what all they were putting into that mix. I have a fabulous homemade version that is super healthy. I found this recipe on Farmgirl Gourmet, and it is definitely super easy and super quick to make. So for those nights when dinner needs to get on the table pronto, this is a must have in your recipe file. Serve with the BEST SALAD ever. People are always asking me what I do to my salads. 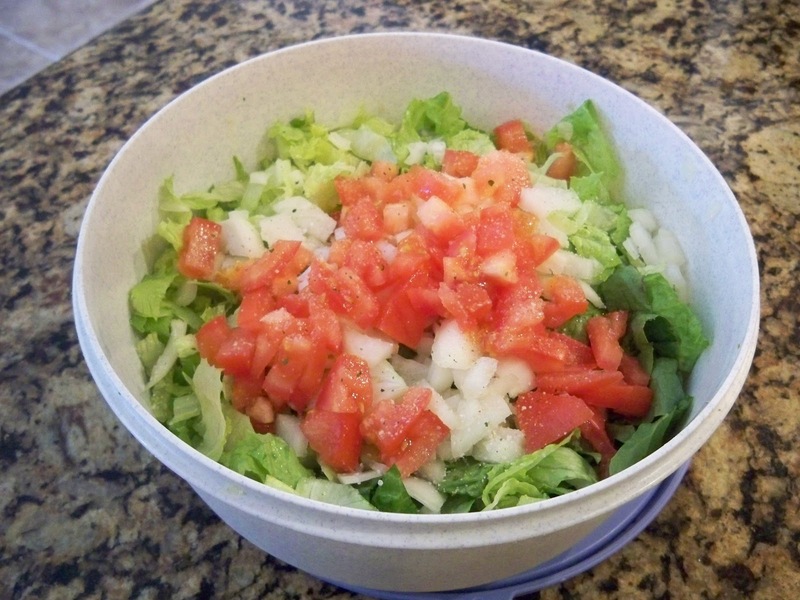 Chop up your favorite veggies, ( lettuce, tomatoes, onions, radishes, cucumbers) in a large tupperware bowl. Don't mix it up. Put the lettuce in first and then just add all the other ingreditents on top. Here's the secret - sprinkle with GARLIC SALT. I don't think all garlic salts are created equal. I love this one. It is a mild garlic flavor, not harsh. You don't need alot, just a light sprinkling all over the top of the veggies. The salt brings out the sweetness in all of the veggies and most people won't even want to use dressing. Take my word for it, give it a try. Don't mix, just cover with the tupperware lid and put in the fridge for about an hour before dinner. I think this is going to be a family favorite meal for more than hurry up weeknights. It sure looks good! It's rainy and cool here and just about supper time. I like how you cut your lettuce up into little pieces. So much easier to eat! Ooooh, sounds delicious! I love to make chopped salads like this but the garlic salt is a new idea to me. Sounds wonderful. Delish! love Beef Stroganoff and salad perfect dinner! I haven't made it in a good while. I did not eat hamburger helper growing up, but my children did. I made a stroganoff version not that long ago, but it was lacking something and put most in the freezer. I need to compare it to your recipe and see what I can do to improve. Love the stroganoff recipe and that salad is definitely something I'm going to try...sounds very fresh tasting! 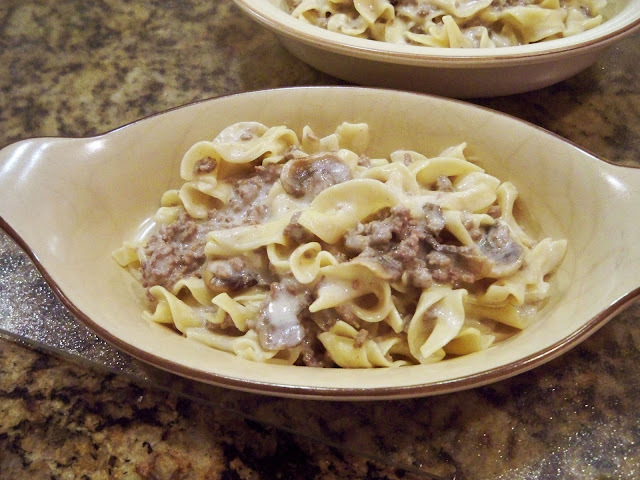 I used to make beef stroganoff all the time for my girls, but my hubs is anti noodles and anti cream-based sauces and he won't touch mushrooms, so I no longer make it.......but not to say I can't make it for myself or for my daughters when we want to get together just us! You have inspired me, I had forgotten I even made it! I always put nutmeg in mine, too. And ground pepper. As for the salad idea, I am soooo going to try that trick! And Lowrey's is what we use, too, it is the best. Thanks, Marty! have a wonderful weekend. Love the stroganoff recipe and love that it is quick to prepare. The salad looks yummy too. Happy Halloween. Have a wonderful week end. This meals look just perfect and we are salad fanatics, so I am always searching for a new spin on the classic salad. Looks yummy and quick makes it perfect! We are gluten free but I found GF noodles so this will definitely be on our table soon. Hubs agrees with you on the garlic salt on the salad. Your dinner looks scrumptious, Marty! You bet I'm giving it a try. And I'm running out to get the right garlic. Thanks for the yumminess! hugs! Total comfort food, Marty! 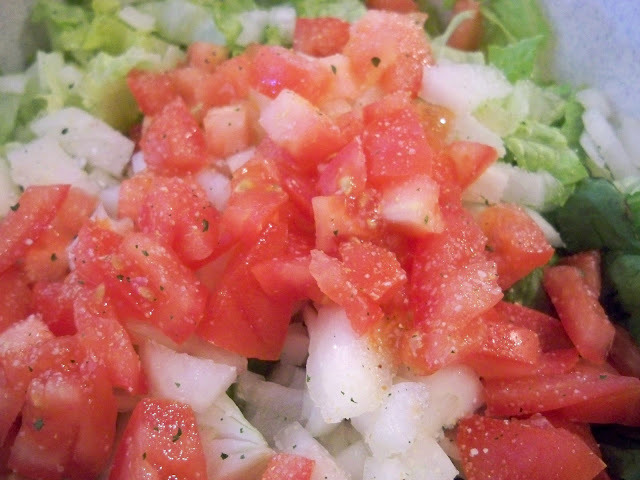 And the chopped salad really looks good, too. Will try the Garlic Salt - we use it on buttered popcorn and it's wonderful! Thanks for the stroganoff recipe! Love the chopped salad idea. And I know what you mean about harsh garlic salts! I am not much of a stroganoff girl. Hi Marty =) I haven't been able to visit much lately but it sure looks like I stopped in at the right time! I love stroganoff, the HH kind, but I never ever make it. Yours looks super awesome! 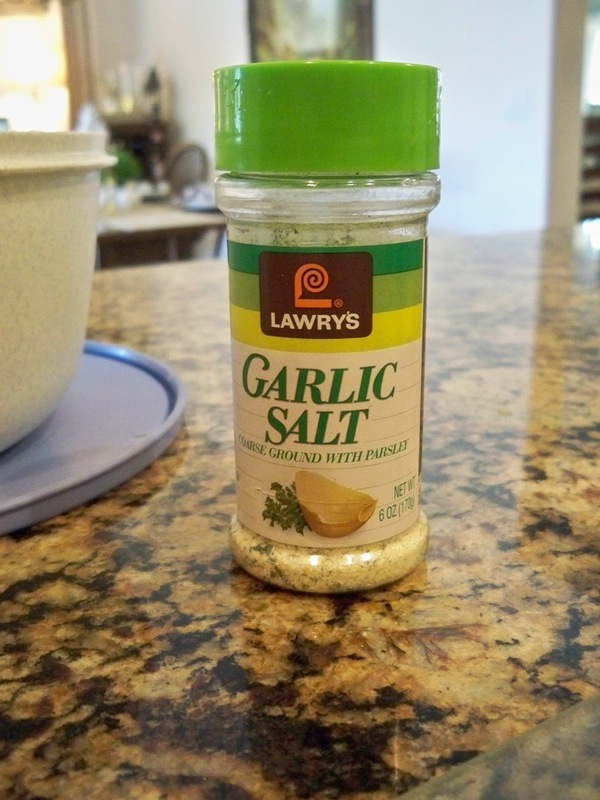 And I agree about garlic salt -- I love the Lowery's! I'll have to try it on salad like you've suggested. Have a great week! I want that salad! Thanks for sharing Marty!